While beauty salons are all about creating a dazzling decor, barber shop is more about the functionality of the space. They are designed to meet a simple mission: Provide good haircuts. As every good barber knows, the foundation of their business is a pair of hair clippers that is affordable and of professional quality. Without this important tool, success is elusive. In order to provide your customers with the styles and cuts they desire, Barberdepots.com has created a catalog of barber supplies that makes buying your tools a breeze. Ensure that you have the right kinds of professional supplies, products, and hair styling tools by shopping Barberdepots.com with our extensive selection of supplies for barber shops. If your shop isn’t properly equipped, your customers won’t feel comfortable during their trim, shave, or cut. The single most important piece of equipment in your shop is a quality styling chair. Barberdepots.com has a wide variety of barber equipment, including chairs, in stock. 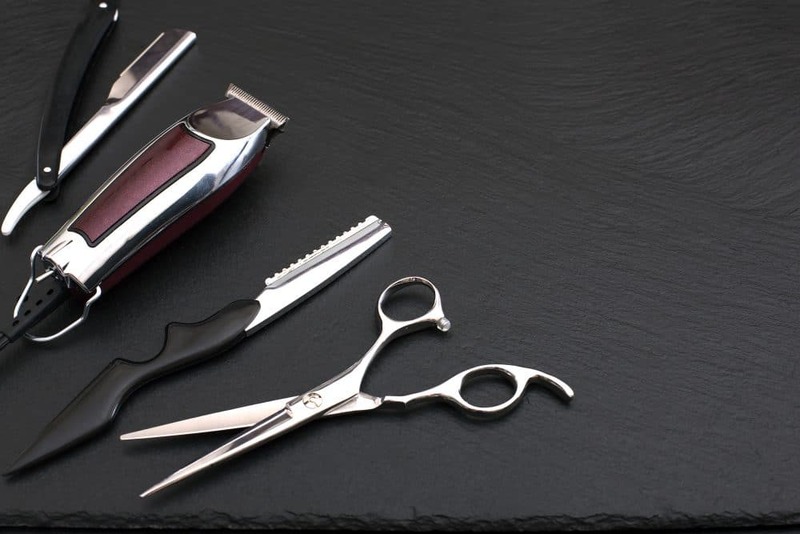 Once you’ve selected your favorite clippers, you will need a quality pair of shears. You’ll damage more than your client’s haircut if you make the mistake of buying a pair of low quality shears. You will also create excess stress on your wrist and hand and risk developing carpal tunnel syndrome. Look for a quality set that includes everything you need from styling shears to thinning shears to get the professional finish you want without straining your hands. Since many customers are in need of a good clean shave, find the right tools for shaving as well as more modern trimmers for beards and mustaches. Your one-stop shop for all all the tools and supplies you need for your barber ship are available at BigDaddyBeauty.com with their wide selection of modern facial trimmers and traditional shaving tools. You can see our shaving tools and facial trimmers below. Your barber shop should always be clean. You can use your disinfectant jars to do more than clean your tools and provide a sterile environment. Choose decorative jars to complete your decor in the shop. You’ll find a large selection of sterilizing and disinfectant equipment at Barberdepots.com. Barber shop should always stock products that fill the needs of their customers. There is a wide variety of beauty products on the market that come in a range of textures and types that enhance hair styles on men. On Barberdepots.com, take the time to browse the selection of grooming products available. Barberdepots.com has an extensive list of barber supplies. You will find the name brands that you have learned to trust at affordable prices.